Our company does professional freezer repair. If your freezer is leaking, not keeping the temperature cool enough or making a noise, we can help. Our team of highly trained professional technicians is well versed in all aspects of freezer repair and maintenance. We work on all brands and models of freezers both new and old. For example Asko, Bertazonni, Bosch, Dacor, DCS, Electrolux, Fisher&Paykel, Frigidaire, GE, Jenn-Air, KitchenAid, La Cornue, LG, Liebherr, Marvel, Miele, Perlick, Samsung, Siemens, Sub-Zero, Thermador, Traulsen, True, Viking, Whirlpool, Wolf and many more. No matter how extensive or complicated the project is, we will be able to give you great results. We promise you that your freezer will be working as good as new after an appointment with us. We all know how inconvenient it is when your freezer brakes and the contents of it starts melting. Your food can quickly become spoiled. That is why you need a professional company to give you a hand with repairing your freezer. Our technicians are right for the job. They are factory trained and certified by freezer manufacturers. They are up to date with the latest in appliance repair technology and have the tools. Our team will be able to diagnose your freezer properly, find the right parts and install them correctly. We are very detail oriented and precise in our work so you can be sure that the repair is done right the first time. Besides outstanding skills and experience in freezer repair, we also offer you excellent customer service. Our techs are professional, polite and friendly. They do everything possible to keep our customers satisfied. Our appointment scheduling is flexible. We will work around your schedule and make sure the appointment is convenient for you. Our company also offer a FREE service with repair and a FREE, accurate estimate before any job. We always treat our customers right. We make sure they are totally happy with our work and service. Oregon Appliance Repair is a company with a lot of experience in appliance repair in general and freezer repair in particular. We have been doing it for more than 30 years. Our company is local to Bend, Oregon and is family owned and family managed. Oregon Appliance Repair services Mountain View, Old Farm District, Old Mill District, Orchard District, Pine Grove, Powell Butte, Prineville and Redmond as well as other areas around Bend, Oregon. We do the most extensive project for both commercial appliance repair and residential appliance repair customers. In fact, we can fix any appliance in your kitchen as well as washers and dryers. For example, we do refrigerator repair, washer repair, dryer repair, dishwasher repair, stove and range repair, oven repair, steam oven repair, microwave repair, ice maker repair, barbecue repair, pizza oven repair, patio heater repair and much more. We can easily solve any of those problems. Our technician will give you the most affordable and efficient solution possible. Usually, all it takes is a little bit of tinkering with the mechanism, and your freezer is back in action. But once in a while, the problem is more complicated. 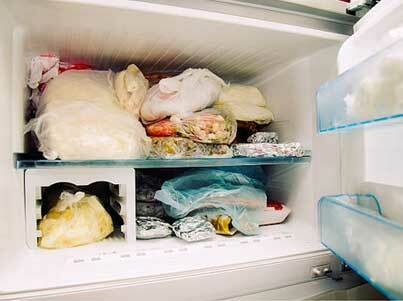 This usually happens when the freezer is older or has not been properly maintained. In that case, we will be happy to order genuine parts for you. As soon as those parts get there, we will send out our technician again, and he will make sure to install the parts appropriately. After the job is completed, our tech will run your freezer and test it to make sure it’s working correctly. He will clean up after himself and dispose of the old parts. Only then will he turn it over to you. You will get a perfectly functional freezer, that is safe and ready to use. We guarantee that you will be happy with the job. We are premier appliance repair service in your area. Our family-owned business has more than 30 years of experience in appliance repair including freezer repair. With us, you can be sure to get the best professionals to work on your appliances and do the job right for you. They are factory trained and factory certified. Our team cares about every little detail and makes sure that your appliance is fixed well and functioning great. You are not going to need our help with this particular appliance for a long long, time. Also, our service is friendly convenient with flexible hours. For freezer repair, please call us at 541-948-8835 or fill out our short contact form. We will be happy to set up a convenient appointment for you. Our friendly and highly skilled licensed technicians will soon be on their way to repair your appliances. We do freezer repair Bend, Eugene, Portland, Central Oregon, Crook County, Deschutes County, and Jefferson County. Our company does professional freezer repair. If your freezer is leaking, not keeping the temperature cool enough or making a noise, we can help.